The IMSA WeatherTech SportsCar Championship is the flagship series of the International Motor Sports Association (IMSA). 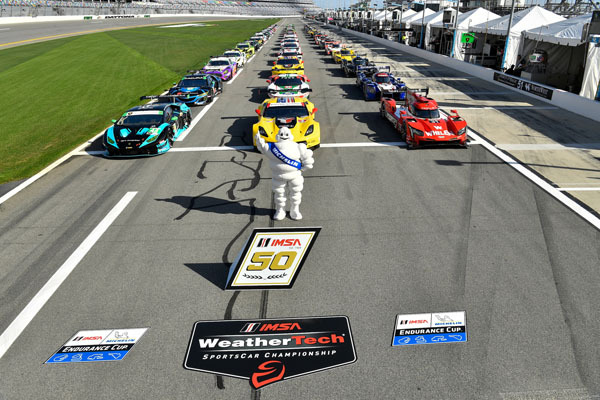 IMSA celebrates its 50th anniversary in 2019. 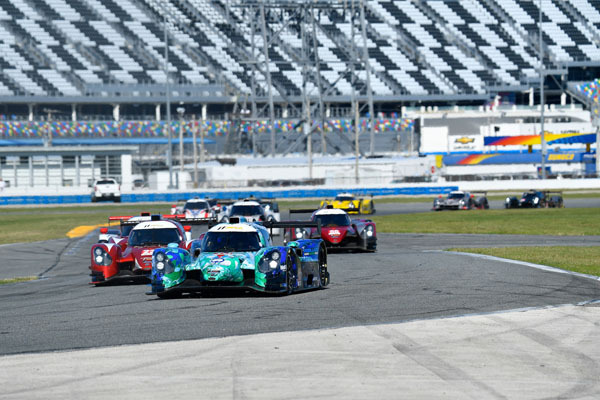 The WeatherTech Championship features four classes of racing split between two prototype classes: Daytona Prototype international (DPi) and LMP2, and two GT classes: GT Le Mans (GTLM) and GT Daytona (GTD). The GT Le Mans class is open to any tire manufacturer, while Michelin is the exclusive provider for DPi, LMP2 and GTD. DPi and GTLM generally feature all-professional lineups while LMP2 and GTD require a gentleman driver within their lineups. The series runs 12 events per season in the United States and Canada, although not every class races at every event. Additionally, some WeatherTech Championship teams also have the opportunity to race at the 24 Hours of Le Mans in June. Examples of prototype cars include the Cadillac, Acura, Mazda and Nissan DPis. Examples of GT cars include the Ford GT, Corvette C7.R, Porsche 911 RSR, BMW M8 GTE, Audi R8 GT3, Acura NSX GT3, Lamborghini Huracán GT3 and more. Teams run with at least two drivers and for the four endurance races, the Michelin Endurance Cup, can add a third, fourth and/or fifth driver. The Michelin Endurance Cup is a “championship within a championship” that features four races that include 52 hours of racing. These races are the Rolex 24 at Daytona, Mobil 1 Twelve Hours of Sebring, Sahlen’s Six Hours of The Glen and Motul Petit Le Mans (10 hours). 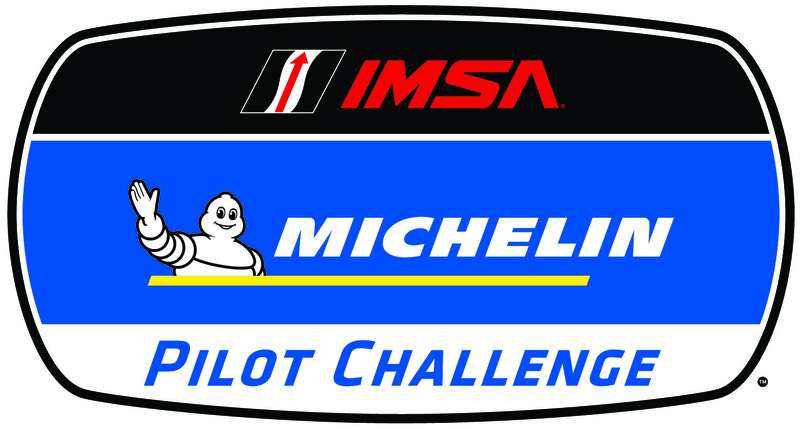 The IMSA MICHELIN Pilot Challenge is one of IMSA’s two Challenge series, which serve as a ladder and support series to the WeatherTech Championship. Michelin serves as both the Official Tire and title sponsor of the MICHELIN Pilot Challenge. The naming convention for this series refers to the MICHELIN® Pilot® line of tires. In the MICHELIN Pilot Challenge, there are two classes of production-based cars: GS, which features GT4-specification cars, and TCR, which features TCR specification cars. This series runs 10 events per season in the United States and Canada. Races are predominately two hours, although there are two four-hour endurance races during the season. 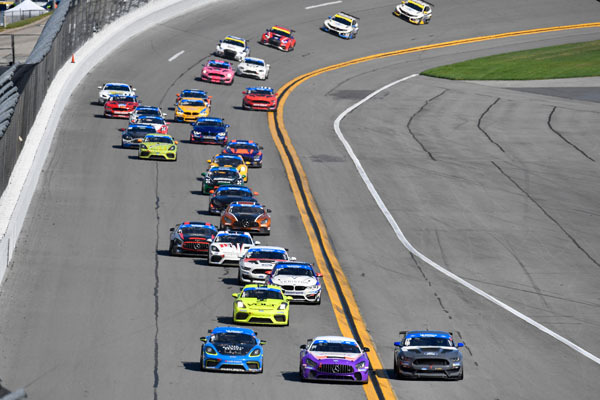 Examples of GS cars include the Ford Mustang GT4, Chevrolet Camaro GT4.R, BMW M4, Audi R8 GT4 and Mercedes-AMG GT4. Examples of TCR cars include the Audi RS3 LMS TCR, Honda Civic Type R and Hyundai Veloster N TCR. Teams can run two drivers in the two-hour races and up to three drivers in the four-hour races. The series features a mix of professional and gentlemen drivers. The IMSA Prototype Challenge is one of IMSA’s two Challenge series, which serve as a ladder and support series to the WeatherTech Championship. Michelin is the Official Tire of the Prototype Challenge series, which features entry-level prototype racing on IMSA race weekends. This series runs six events per season. Races are predominately one hour, 45 minutes, although there are two three-hour endurance races during the season. There is a single class in the Prototype Challenge, LMP3. There are six homologated chassis constructors for the class and a single spec engine. The six chassis constructors for PC are Ligier, Norma, Adess, Riley, Ginetta and Dome. Teams can run one or two drivers in the one-hour, 45-minute races and up to three drivers in the three-hour races. The series features a mix of professional and gentlemen drivers. 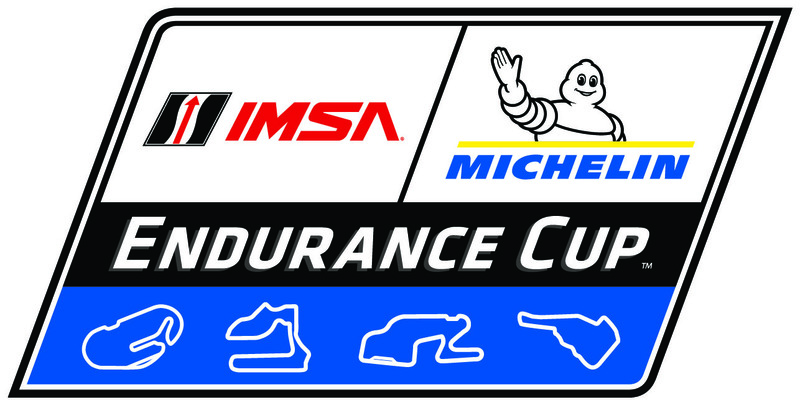 The Michelin Endurance Cup comprises the four longest races of the IMSA WeatherTech SportsCar Championship year and features four races with distinct histories in sports car racing. The Rolex 24 at Daytona opens the season for both the Michelin Endurance Cup and overall WeatherTech Championship. Sebring’s former military base plays host to the grueling Mobil 1 Twelve Hours of Sebring in March. In July, Watkins Glen International plays host to the Sahlen’s Six Hours of The Glen. The season concludes at Michelin Raceway Road Atlanta with Motul Petit Le Mans in October. That 10-hour race brings the total number of hours in the Michelin Endurance Cup to 52 hours of racing. Points are awarded at different intervals within each Michelin Endurance Cup race. 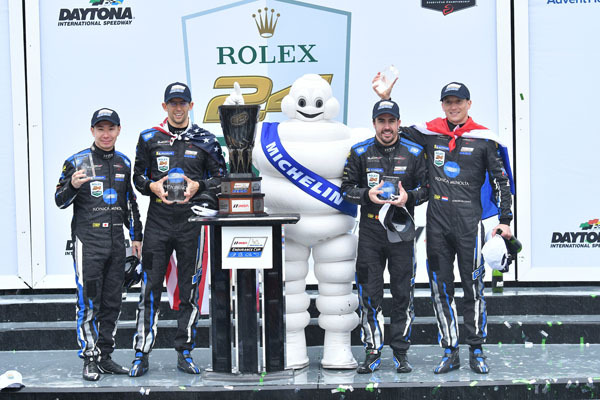 Driver, team and manufacturer champions in the Michelin Endurance Cup are crowned at Motul Petit Le Mans.